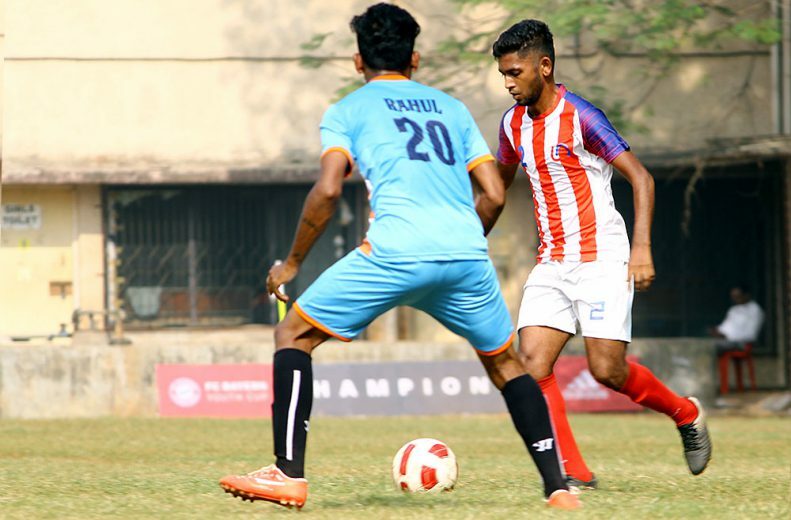 3rd December 2018: On Monday, a total of two MDFA Elite Division games were played at Western Railway Football Ground, Mahalaxmi. In the first game, M.S Police played Union Bank of India (UBI) before Bank of India (BOI) encountered Western Railway in the second and final match of the day. Union Bank of India (UBI) registered their first win of the season with a 2-0 win while Western Railway continued their fine form to overcome M.S Police with the same scoreline. Coming into this season, UBI shuffled their squad a bit with a handful of key players transferring to other clubs. After going winless in the first three games, UBI finally managed to clinch a victory after defeating M.S Police 2-0. New signing from PIFA, Sushant Jadhav scored his first goal for his new club with a sublime strike in the 35h minute. M.S Police pushed forward in search of an equalizer but UBI’s backline did a good job to keep their attack at bay. Dwayne Vaz, easily UBI’s best player this season, sealed the game in the 65th minute with a fantastic placement. With this win, UBI has jumped to fifth, whereas, M.S Police is lying at the bottom of the table with no wins so far. The second game of the day was nothing short of a nail-biting match. BOI has been a surprise package this season. The newly-promoted side has played fearless football and proved their worth in the top-flight of Mumbai football. Meanwhile, compared to previous seasons, Western Railway has made a tremendous start this time around. In what was an end-to-end encounter, two late goals from Mervin Stephens snatched all three points for the Railways. Mervin broke the deadlock in the 83rd minute before hitting the final nail in the coffin in the fourth minute of the stoppage time. The Railways are currently second in the table with nine points in four games, whereas, BOI is fourth with five points.